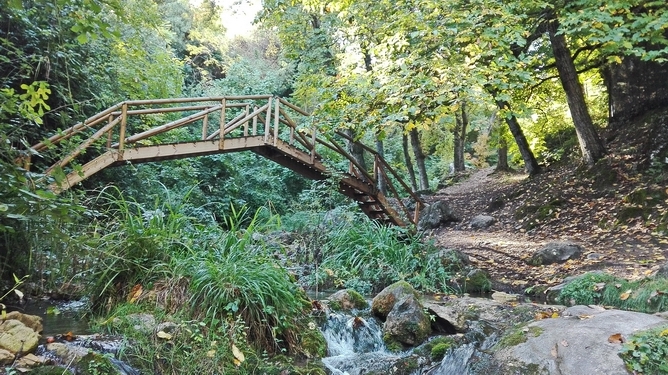 Walking, enjoying nature, breathing fresh air and learning the ins and outs of mycology is what the La Trufa mycological garden, which recently opened its doors in the village of Zagrilla, in the municipality of Priego de Córdoba, offers. 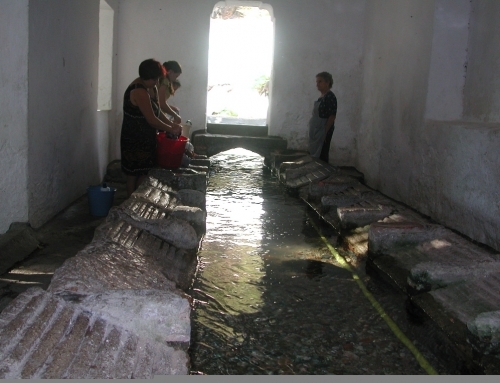 These facilities are unique, as it is the only garden associated with mushrooms and truffles in Andalusia and the first Mycological Garden in Europe. 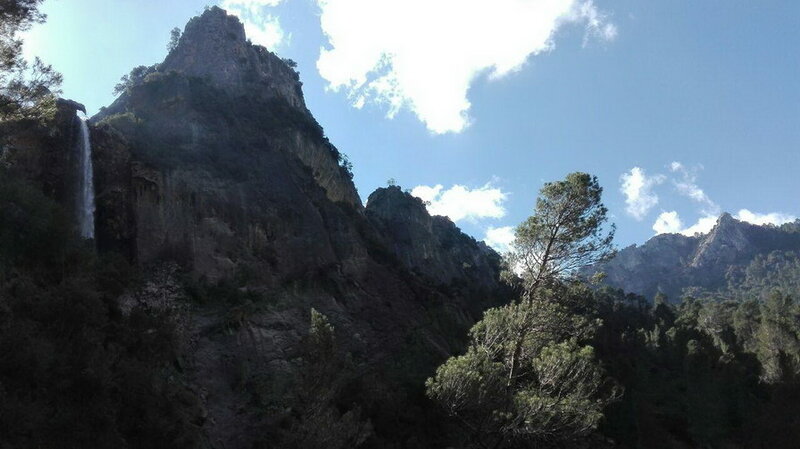 In the different landscaped areas – eight in particular – we find pine groves, cork oaks, holm oaks and gall oaks, pastures, riverside woods and Spanish firs, among others. Ecosystems recreated so that a great variety of fungi and mushrooms appear naturally and give shape to a complete and extensive outdoor exposure. 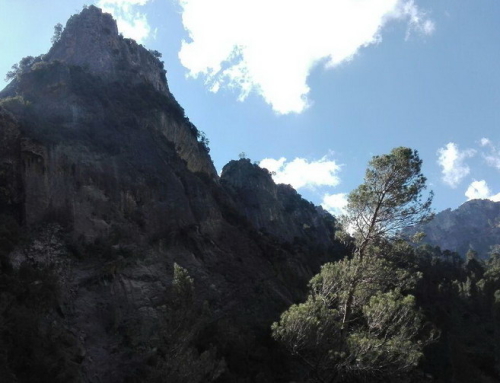 After the walk, there is nothing better than visiting the Andalusian Mycology Centre which is located in this extensive and beautiful garden. 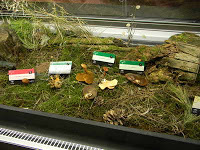 Your visit will allow us to know the multitude of species of mushrooms and fungi discovered. 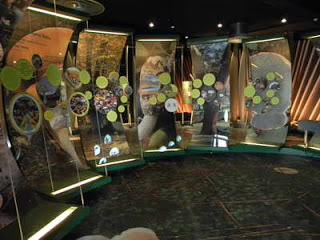 This building has a showroom equipped with new panels and interpretative elements, designed to showcase the most relevant species of fungi in Andalusia, their biological cycles and their integration into our ecosystems. It also has a live microclimatic mushroom room with 156 square metres of exhibition space, where “a wide range of mushrooms can be seen under a microclimate adapted to the conditions necessary for the fruiting of mushrooms”. From the pheasant and the moray eel to the gurumelo, níscalo, rusula, passing through the tana and the tickets. The Mycological Centre also has an audiovisual room, equipped with all the means to hold congresses, conferences, conferences… with capacity for 150 people and an environmental education workshop that will be used to teach microscopy practices as an introduction to the study of fungi. The building also has a production module divided into two spaces. On the one hand, the Log Preparation Area. 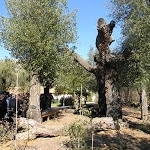 Here, poplar, poplar, walnut, willow, mulberry, oak and holm oak trunks will be prepared and inoculated and the mycelium of various species of fungi will be incubated. On the other hand, the Mushroom Production Plant, which’will supply the live microclimatic mushroom room and the exhibition area of the Mycological Garden’. 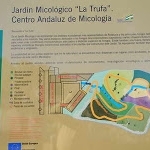 The mycological garden La Trufa is part of the Network of Botanical Gardens in Natural Spaces, within which it will have the objectives of promoting knowledge of mycology, encouraging mycological activity and mycological tourism, as well as developing environmental education campaigns and contributing to the conservation of Andalusian mycological resources. 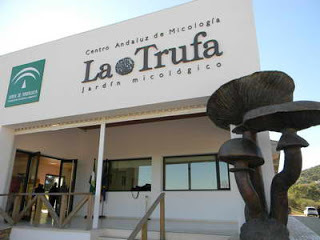 Whoever visits the mycological garden La Trufa and the Andalusian Mycology Centre, has a multitude of accommodation options. But the most recommendable are the rural lodgings. 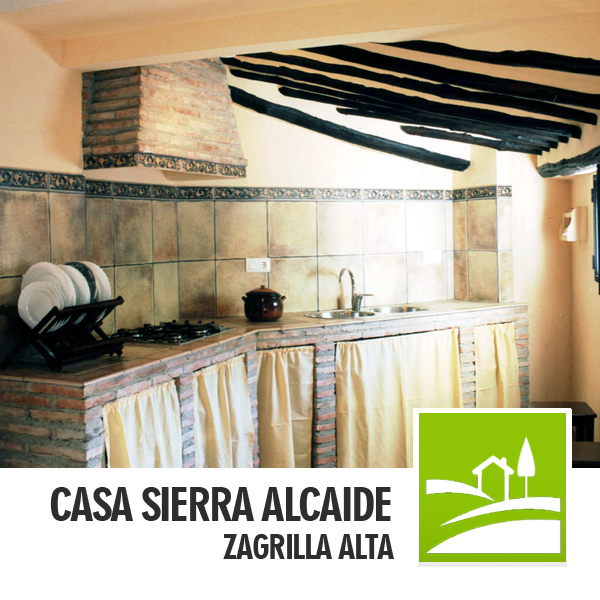 Near these facilities, in Zagrilla Alta, we find a typical village house with excellent views of the Sierra Alcaide. 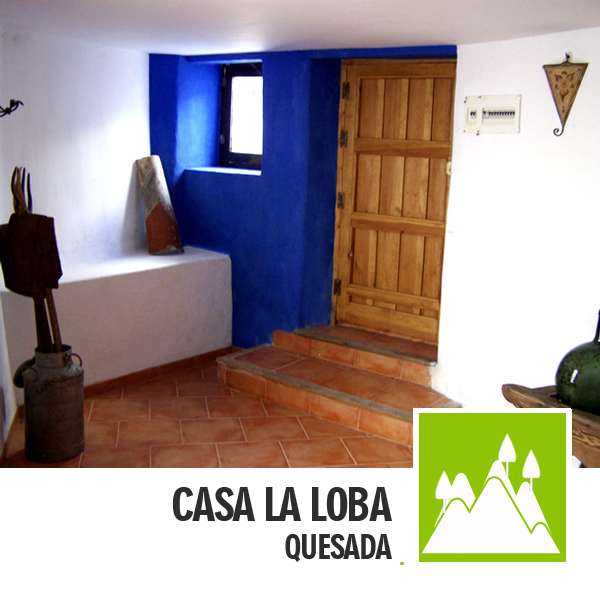 This property has four bedrooms, living room, separate kitchen and private pool. Among other specific attractions, Zagrilla Alta has an inexhaustible spring of crystalline water that springs from the rock giving its name to the river Zagrilla, flanked by a public washing place still in use, where the local people wash in a traditional way, preserving a social rite in danger of extinction. 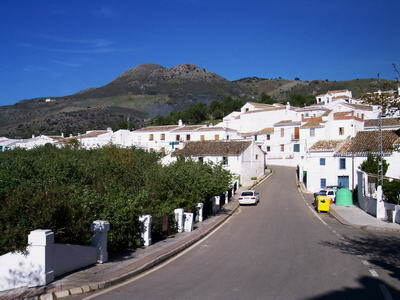 Its streets border the mountain range irregularly, following the Arabic construction model (white village with whitewashed facades, nooks and crannies, discreet exteriors, floral exuberance in the interior courtyards). 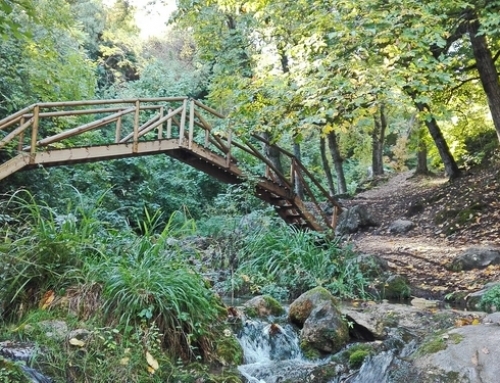 Do not hesitate, the visit to the garden La Trufa is worthwhile and even more if you discover the village where it is located, as well as the municipality of Priego de Córdoba. 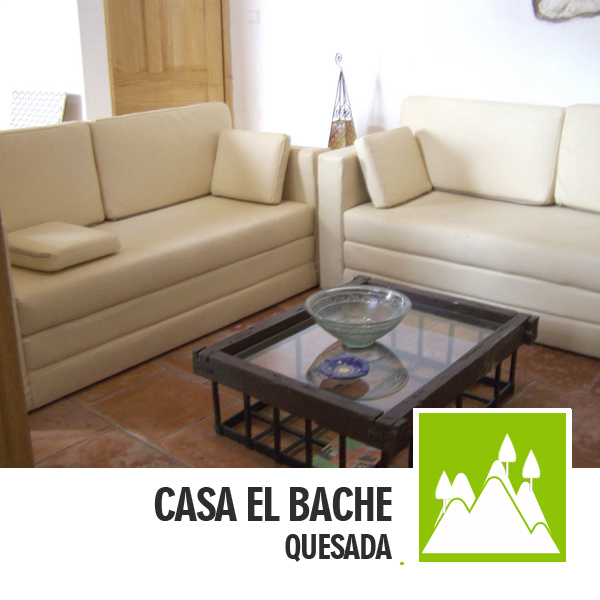 Here you will find a place to relax, enjoy the rural environment and an activity such as mycology, which is gradually gaining followers. From September to May from 10:00 to 14:00 and from 16:00 to 18:00. From June to August from 10:00 to 14:00 hours. 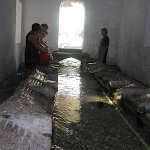 GUIDED AND GROUP VISITS Every day at 10:30, 12:00 and 16:00 hours (90 minutes). Special visits for groups must be arranged in advance.